Men, sweat and action . Yearhhhhhhh . Don’t we all love that ? 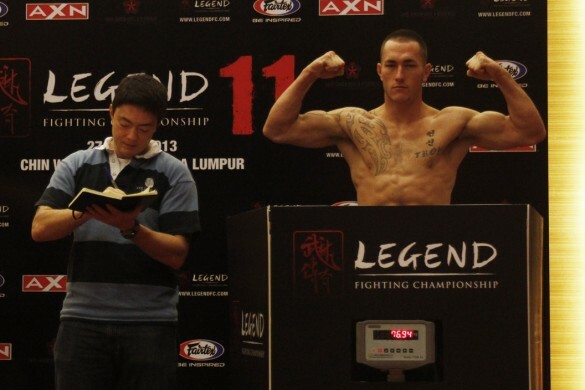 I’ve been to a few championships .. And I have yet to go for a Legend Fighting Championship. 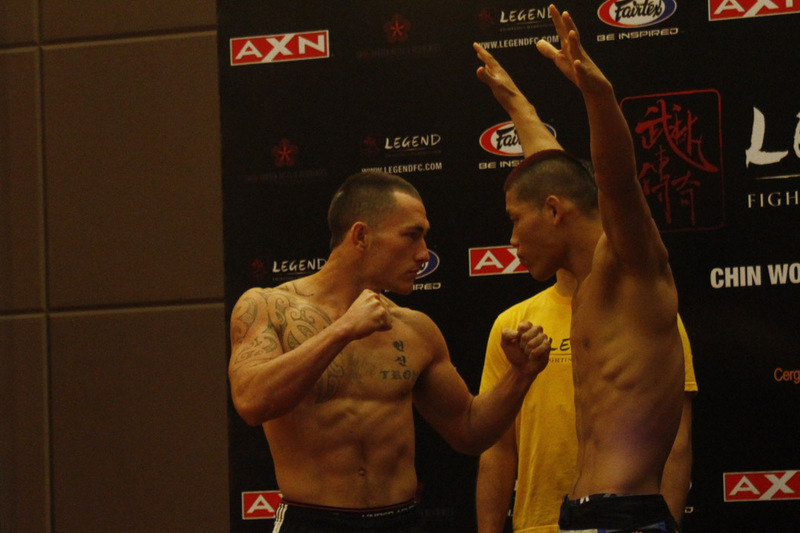 I’m definitely rooting for our Malaysian fighters – Sam Chan and Hanif Zainal ! I’ve seen Sam Chan in GODS FC and Hanif at MFC 5 last year. Sam ‘Swag’ Chan against Syed Hilman . He really had the swag .. Chilling only while he fights . Can’t really see Hanif here .. 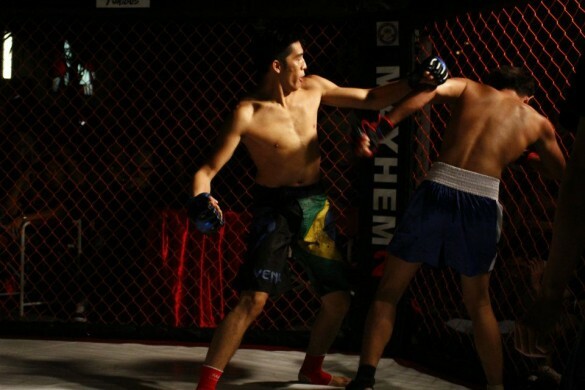 But it’s the only photograph I have of his fight with Kenny Ng . Hanif won. 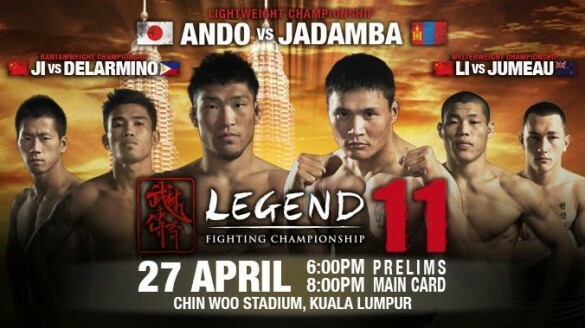 MMA championships are getting more exposure here in Malaysia , ‘I want to be an ambassador for Malaysian MMA at Legend 11, and will be ready and waiting to put on a great show for the local MMA fans’, Hanif says. It’s pretty interesting to watch a fight once in a while, I am pretty sure not many of you have watched an MMA championship before . It’s amazing, trust me . 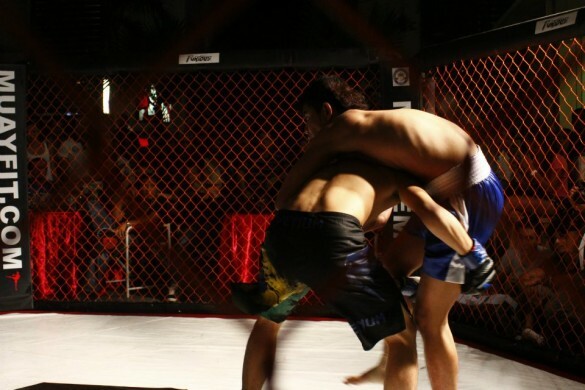 The adrenaline rush, that enjoyment of watching men fight ._. It’s the truth okay, everyone loves a good fight . Almost everyone. Gosh, I sound so violent . I attended their official weigh-in this morning at Swiss Garden. I can’t wait to see their fight . They will be fighting for the WelterWeight Championship Title. Uber fierce pose they have there ._. Look at him . Gosh , I am pretty intimidated . That’s Luke Jumeau by the way. Bikini Hair Removal, For The Very First Time !